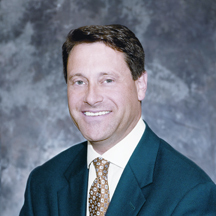 LINCOLNSHIRE, IL â Steve Reiss has joined Vance Publishing Corp. as vice president/publishing director of its Wood Interiors division. Reiss, who is based at Vance`s Lincolnshire, IL, headquarters, is responsible for strategic development, P&L, and operations of the Wood Interiors group of products. "Steve possesses a unique mix of skills and experience that are ideally suited to overseeing this division and helping to develop new products and services," said Vance President Peggy Walker. "He has a history of success with a wide range of information products encompassing in-person, in-print and online platforms, and a proven track record in sales operations." Reiss has more than 20 years of management experience in both the publishing and new media arenas. Immediately prior to joining Vance, Reiss was a vice president/publishing director at Reed Business Information, and also was publisher of the Hotel & Motel Hospitality Group at Advanstar Communications. He earned his degree from the University of Virginia, with further studies at The New School in New York and Templeton College, Oxford University in England.